Get a San Bernardino County Traffic Ticket? You Can Beat It! Did You Get a Ticket in San Bernardino County, California? You can fight San Bernardino traffic tickets by getting them dismissed much easier than you may think. In San Bernardino, California, drivers are allowed to contest a traffic ticket using a Trial by Written Declaration. This is best way to fight a traffic ticket without going to an San Bernardino courthouse or hiring an expensive San Bernardino traffic ticket lawyer. We have found this to be the best way to contest a California traffic ticket, period. This option is available to every driver who receives a traffic ticket in San Bernardino, California. In fact, if you turn over your traffic ticket you will see that a Trial by Written Declaration is listed right on the back of your ticket as one way to fight it. This process has been around since 1978 to avoid having to pay traffic ticket fines. TicketBust has been helping California drivers prepare Trial by Written Declaration’s for over 14 years. In fact, tens of thousands of vehicle tickets in California have been contested using our system. We are the original traffic ticket fighter and the TicketBust system has been developed specifically to prepare all your documents properly based on how you answer a few questions. This way you can fight your ticket, knowing you have maximized your chances of having the court dismiss your San Bernardino County traffic ticket. TicketBust service will prepare your full defense package for you, which includes your Trial by Written Declaration and all the defense documents required by San Bernardino traffic court. Fill out the yellow form to fight your San Bernardino traffic ticket now! Did you know that you aren’t allowed to pass the white limit line when you are stopped at an intersection? From our experience, this can be a common ticket issued in the county of San Bernardino, so be on the lookout and stay behind that solid white line. If you find yourself having received a traffic ticket in San Bernardino, give us a call or fill out our form to see how we can help! Once occupied by various Native American tribes, including the Gabrielenos, the Serranos, the Banyumes, the Mohave, and the Chemehuevi, it wasn’t until 1772 when the first explorers led their company into the area. In observance of the feast day of Saint Bernardine of Siena, Franciscan missionary Francisco Dumatz named the valley San Bernardino, which was later given to the nearby mountain range, the city, and then the county. 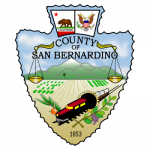 In April of 1853, San Bernardino County was officially formed from parts of Los Angeles, San Diego, and Mariposa Counties. Yet in 1893, a portion of the land was used to create what is now Riverside County. The San Bernardino area quickly became an agricultural hub, and according to the 1870 census, San Bernardino County was credited with producing over 48,700 gallons of wine. San Bernardino County spans a total of 20,105 square miles making it the largest county in both the state of California and in the entire United States. In fact, the county is larger than the states of New Jersey, Connecticut, Delaware, and Road Island combined. San Bernardino County includes the Mojave National Preserve and parts of Joshua Tree National Park, Death Valley National Park, and Havasu National Wildlife Refuge. Yet, although the county is one of the largest by area, just under 2 million of the county’s 2.157 million people live in a 480 square mile strip south of the San Bernardino Mountains near Riverside. Many residents and tourists alike take time each year to visit Big Bear lake in the San Bernardino National Forest, hike and camp within Joshua Tree National Park, or explore the Calico Ghost Town northeast of Barstow.